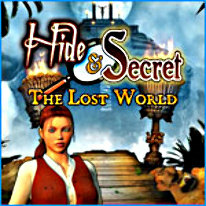 Unravel the mystery of this epic adventure! Travel deep into the mysterious jungle of the Lost World! The nefarious treasure thief Jacques has kidnapped another damsel, and it's up to you to stop his evil plans before she is sacrificed at the spooky full moon ritual. Journey through haunted ruins and diabolical traps on your quest to find the secret Golden Treasure, and unravel the mystery of this epic adventure before it’s too late!